Well done on getting your guest designer spot you must be thrilled. Temp here is forecast to be 90 degrees! Bring it on I say! Lol! 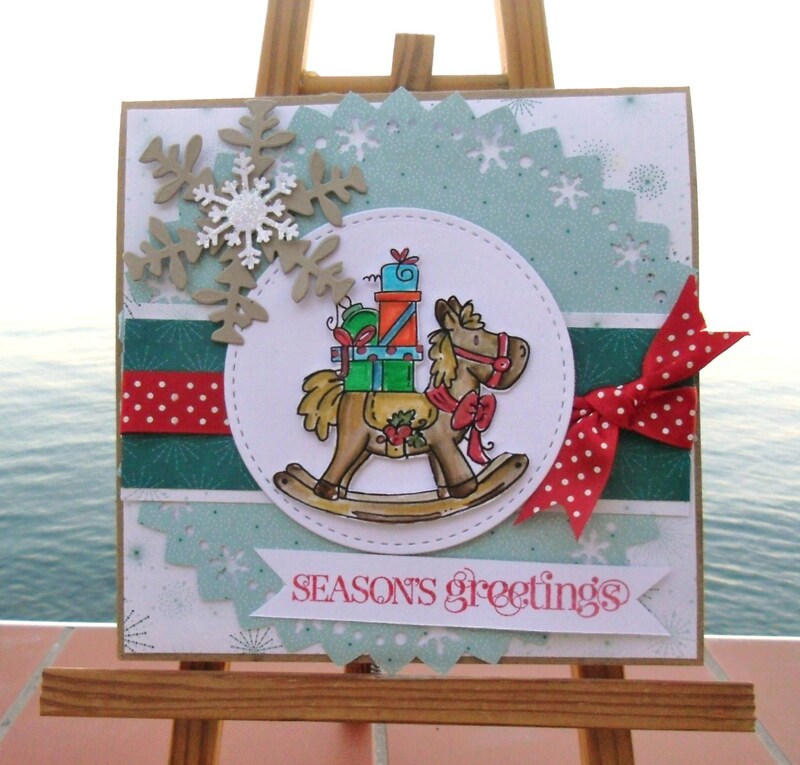 Two gorgeous Christmas cards Sylvie. I love cupcakes and the rocking horse looks fab!! 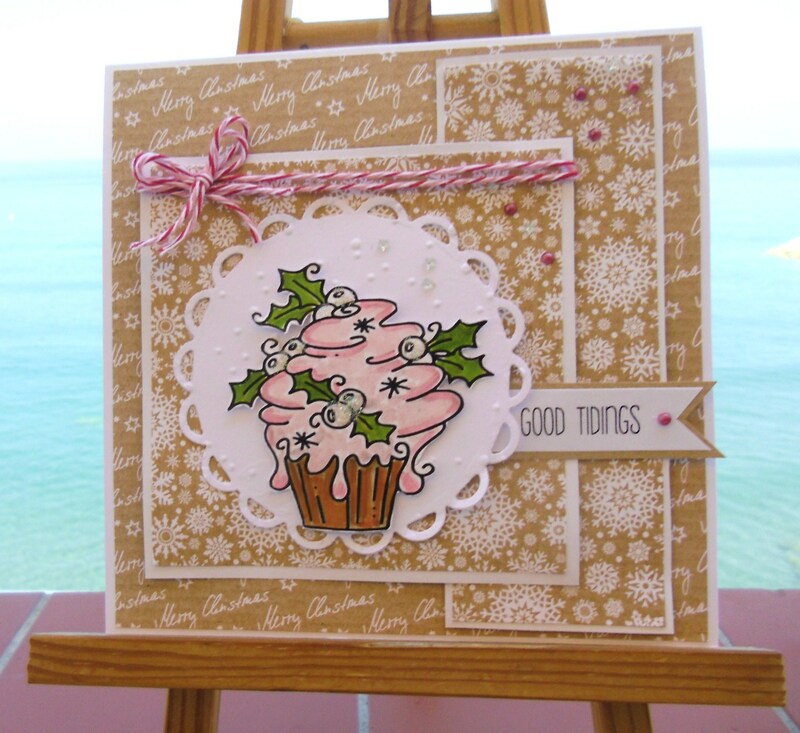 Gorgeous Christmas cards you made for Hazel Sylvie and congrats on the your gast DT spot! 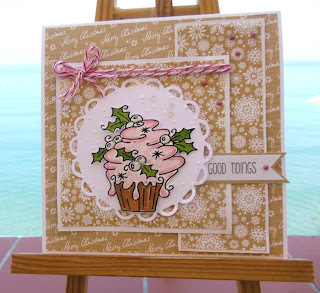 Two gorgeous cards Sylvie, love the xmas cupcake. Two great cards Sylvie - love these Bugaboo digis. Congrats on the GDT position. They are both so fab Sylvie! I love the second the most - such a great way to frame that lovely image! Well done on your GDT spot .. .. have fun!!! 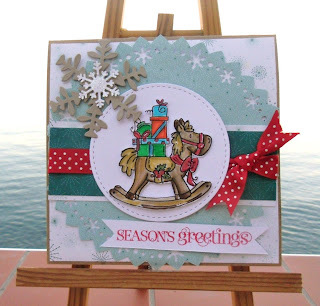 Two gorgeous Christmas cards Sylvie, thank you for the lovely comment you left on my blog.